Would you have guessed what is the first YAH of 2018? 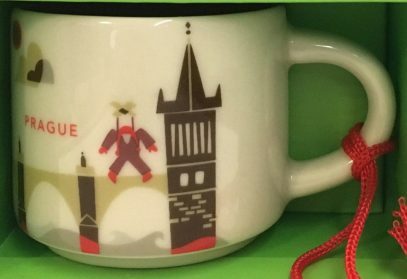 Under no circumstances would I bet on a second version of the existing mug from Europe! 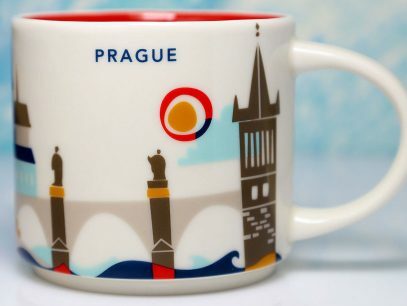 Nonetheless, such is reality – You Are Here Prague v2 has just been spotted online. 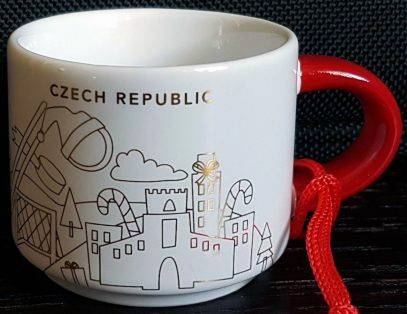 Whatever were Starbucks’ reasons to create a new version I greet this mug with joy! 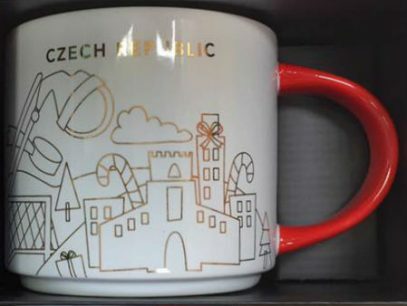 My personal opinion – new mug is better looking, more festive. Do you agree? Aaaaaand it’s finally here. 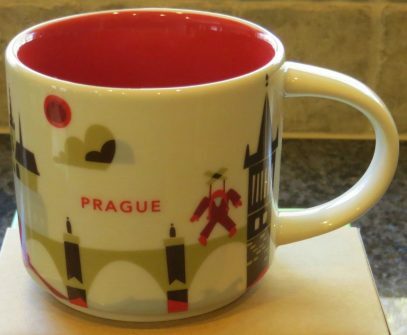 The fifth and the last, Christmas v2 from Europe – You Are Here Christmas Prague! 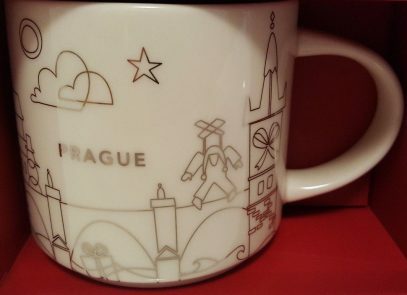 Only a month after releasing YAH Prague mug, Starbucks presents a Christmas version of it – something hard to believe. The mug’s plot will be similar to a regular YAH mug with the only difference – all elements will be outlined in gold. 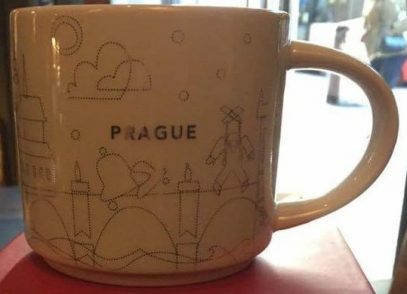 We expect to see: Old Town Hall with Prague Orloj, Charles Bridge, a marionette – referring to National Marionette Theatre and accordion for International Accordion Days in Prague. 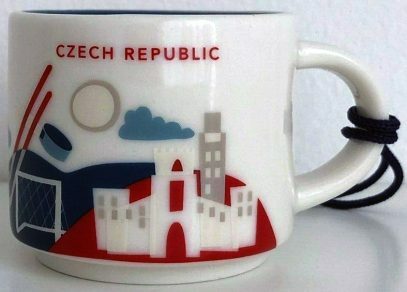 This Icon mug came from Prague, Czech republic. Red is used as its theme color. 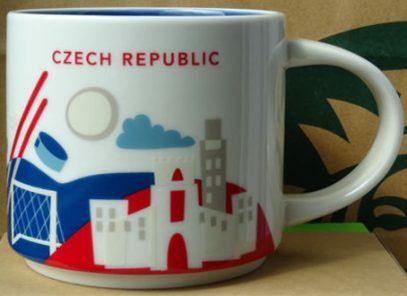 Saint Wenceslaus Statue can be seen on the front of the mug and Charles Bridge on the back.